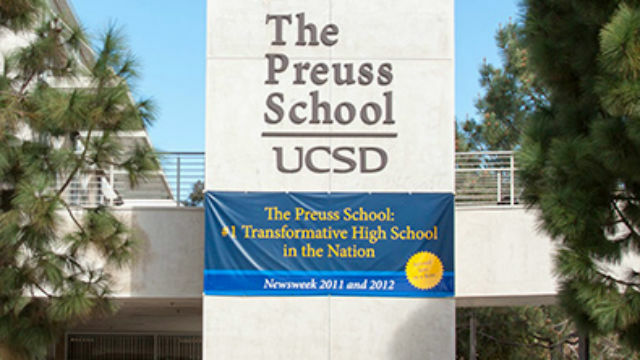 The Preuss School at UC San Diego was named the best public high school in San Diego County and one of the 100 best in the United States Wednesday in U.S. News and World Report‘s annual ranking. The public charter school is consistently recognized among the best high schools. It was named the nation’s most transformative high school by Newsweek three years in a row. Preuss graduates are accepted to four-year colleges and universities at a rate of more than 90 percent. The school, which ranked 6th in California and 76th nationally, is both a middle and high school for low-income students who strive to become the first in their families to graduate from college. More than 800 students commute from throughout San Diego County to participate in the school’s rigorous college preparatory curriculum. The U.S. News rankings include more than 20,500 public high schools in 50 states and the District of Columbia.